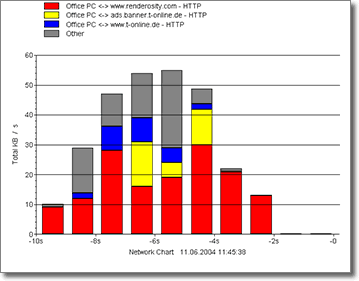 The network traffic is displayed in a simple line format. 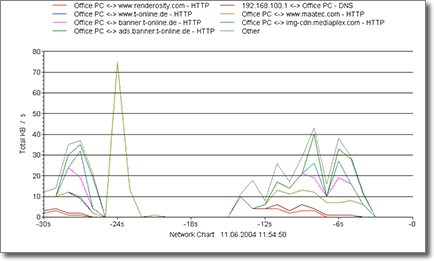 You can easily see which system or protocol caused the most traffic but it is difficult to determine the overall traffic volume. 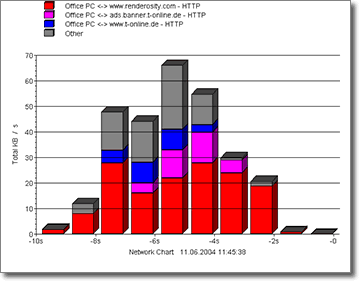 The network traffic is displayed as a cumulative set of lines - the data points are placed one upon the other. 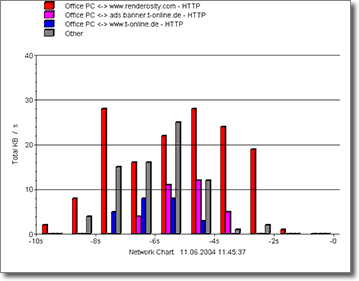 It is easy to determine the overall network traffic with this chart but the amount of traffic per single system or protocol may not be as identifiable as in the simple line chart. This is the same chart as above but the areas between the stacked lines are filled. 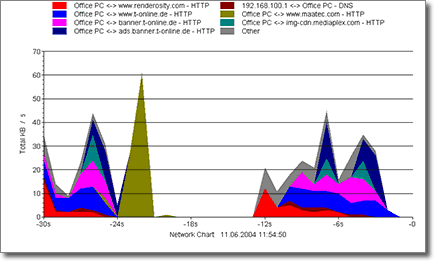 The amount of network traffic is represented by bars that are stacked one upon the other. This way you can easily determine the overall network traffic and the traffic per system or protocol. But it may be difficult to see the relation between the traffic caused by different systems. 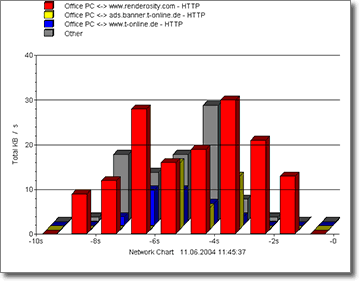 This chart type is usually well suited for up to 100 data entries. Same chart as above but with 3D effect. 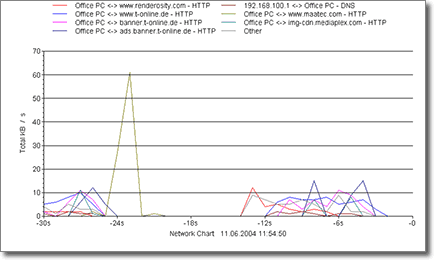 The network traffic per system or protocol is represented by simple bars that are placed side by side in bar groups. They allow to determine the relation between traffic volumes of different sources and to find network load peaks of single systems. 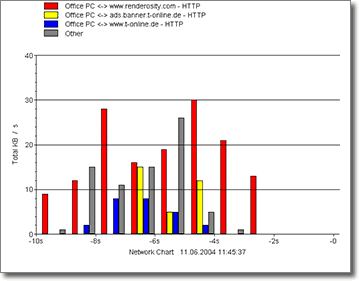 But you cannot see the overall network traffic and the chart may become complex even with few 'Number of values' settings. Almost the same as Group Bars 3D but the bars are placed one after another and not side by side.